Opens a dialog where a new portal page can be created. Deletes the currently selected portal page. 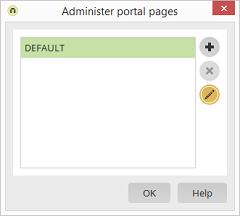 Opens a dialog where the name of the portal page can be edited.